All food and beverage catering services are provided by our on-site caterer, SJC Culinary Services. 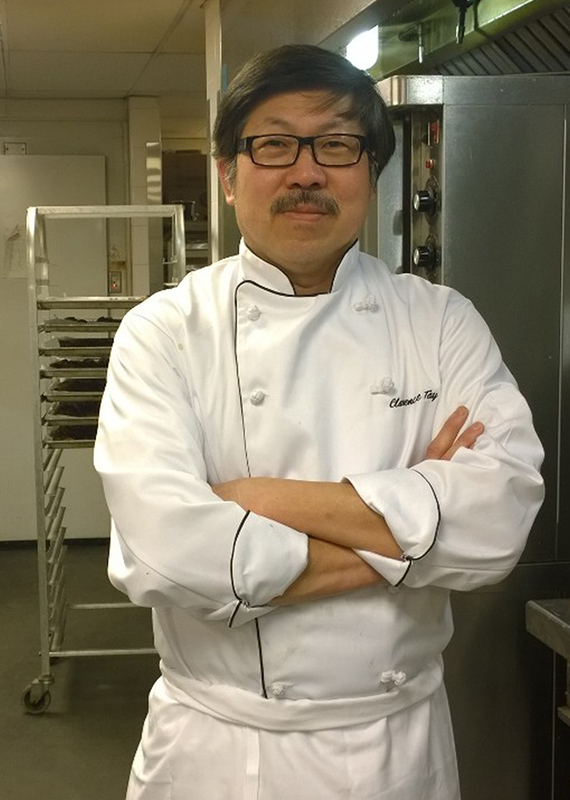 Chef Clarence Tay and his staff provide cuisine drawn from culinary traditions around the globe. Chef Tay can assist you by putting together menu selections that will work with your budget. After completing his culinary training in a Hotel school in Singapore, Clarence worked in several prestigious restaurants there before heading to Toronto in the mid-1980s. He plied his trade at the Delta Chelsea Inn, then Canada’s largest hotel, working his way up to the position of Banquet Chef. During that time he also completed and earned the designation of ‘Gold Seal’ certified Chef de Cuisine, a culinary program administered by the Canadian Culinary Institute. Clarence went back to Singapore after spending 8 years in Toronto. In Singapore, he worked in several premier hotels, including five years as Executive Chef of the award winning ‘Le Meridien Singapore’. In 2000, he came back to Canada, settling in Vancouver. Besides his sound knowledge in French cooking, Clarence is also well versed in most international cuisines, and experienced in both small and large volume catering and at all price points. Our meeting rooms are licensed with a Class B liquor license except the Board Room. Please refer to our catering policies if you require liquor at your function. Check our catering menu or find out how you can join us for dinner!